Arrive Delhi airport / railway station and proceed by road to Shimla (343 kms / 08 hrs) the former summer capital of British India, set amidst the snow capped Shivalik Mountains which offers some of the most stunning views of the mighty Himalayas. Arrive and check in hotel. Rest of the day at leisure. Stay Overnight. After breakfast, depart for the winter sports capital - Kufri, where you can photograph yourself in hired Pahari or Himachal outfits, enjoy horse riding or yak riding (on own). Later proceed to Naldhera, which is famous for its golf course and scenic beauty. Later in the evening visit to Mall Road of Shimla, where you stroll around for street shopping & enjoy local cuisines. Over night stay at hotel. Mall Road is the main street in Shimla.It was Constructed during British colonial rule the Mall road is located a level below the ridge. Locals and tourists are often found strolling on the road in the evenings because except emergency vehicles no automobiles are allowed on this road. The offices of municipal corporation fire service and police headquarters are located here. The road has a number of showrooms department stores shops restaurants and cafes.The market is going to keep you very busy and extremely happy. Today morning after breakfast you will proceed by road to Manali (274 kms / 07 hrs) a picture-perfect hill resort at an altitude of 1,929 metres. Set amidst pine-clad mountains, which gradually close in on both sides of the Beas and nestling in their shade, as though carved out of primeval forest, is a scattered hamlet, which comprises this picturesque summer resort. Stay Overnight. Welcome to Hotel Manali Queen - A peaceful newly constructed hotel surrounded by green pine woods on all sides. A budget friendly yet luxurious accommodation in Manali, offering much more than just a place to stay. Welcome all visitors to Hotel Manali Queen. We boast of all modernized amenities and excellent value for money accommodation for your next holidays in Manali. After breakfast, visit to Hadimba Devi Temple - built in the tranquil and serene woods, Vashist Bath, Tibetan Monastery and Roerich Art Gallery. Afternoon half day tour of Naggar Castle and local Bazar. Over night stay at hotel. Also known as the Hadimba Temple, Hidimbi Devi Temple is a unique shrine dedicated to Hadimba Devi, who was the wife of Bhima and mother of Ghatothkach, located amidst the snow covered hills of Manali, in the State of Himāchal Pradesh in north India. Surrounded by gorgeous cedar forests, this ancient cave temple is built on a rock which is believed to be in the image of the goddess herself. The structure was built in 1553 and the construction style of the temple is entirely different from that of any of the other temples, with its wooden doorways, walls, and cone-shaped roof. Naggar Castle is a famous castle located at a distance of 20km from Manali.It is a magnificent historical structure which was built by Raja Sidhi Singh in 1460 AD.Naggar Castle is an impressive combination of European and Himalayan architecture. It has traditional architecture called Kathkooni, which uses a combination of stones and wooden beams. The castle provides awe inspiring views of the Kullu Valley and rests in peaceful reverie as the holy river of Beas flows merrily by.Naggar Castle is a beautiful combination of Indian and western sensibilities of architecture. Tibetan monastery is famous for weaving different and colourfull carpets.It is one of the major tourist spot in Manali. Tibetan monastery is one of the oldest and famous place in Manali.There is the statue of Lord Buddha presides in the monastery. The architecture of the monastery represents the Tibetan style of architecture designed with hued frescoes. The major attraction of the monastery is the handicrafts of Tibetan artistry and the carpets that are woven and sold in the monastery. Vashisht Baths are natural hot water springs accompanied by beautiful sanstone temples. 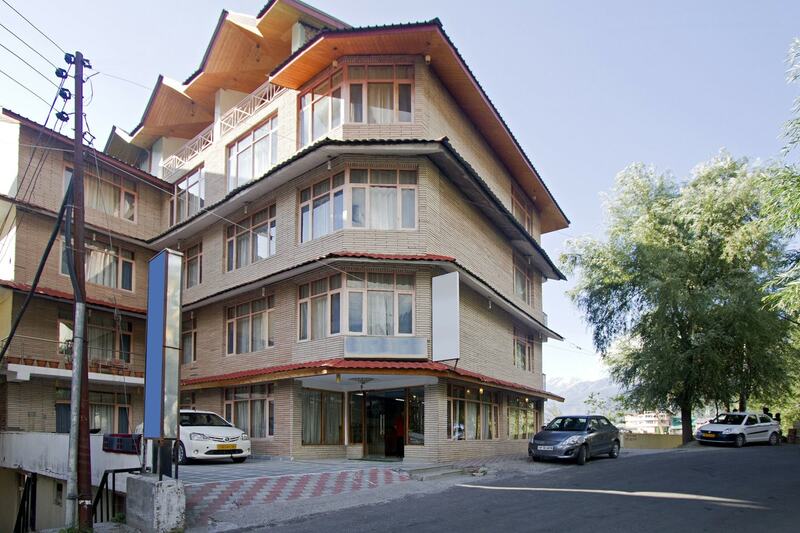 Situated on the banks of the gurgling Beas River in the picturesque hill station of Manali. these baths are named after the great sage Vashisht, who was a teacher and adviser to Lord Rama. Surrounded by pine trees and luxuriant vegetation, these are natural sulphur springs that contains medicinal values and can cure skin related ailments. Elegant Turkish style showers are connected to the springs through pipes for the convenience of visitors. After breakfast, full day tour of Rohtang Pass ( On your own by union vehicle )- the majesty of the mountains and the glaciers can be seen at their best. On your descent down to Manali, halt at the Rahalla falls and Solang Valley. The magnificient views and the natural beauty are a never-ending source of delight. Over night stay at hotel. Rahala Falls at a height of 8,500 ft. is a beautiful waterfall. It lies on the way from Manali to Rohtang Pass.Rahala Falls are the result of melting glaciers.It is surrounded by a dense forest of birch and deodar trees and showcases the snow capped Himalayan peaks in the background. The waterfall is a famous tourist attraction in the state of Himachal Pradesh.It is a natural spot where tourist can view the natural beauty. The fresh and aromatic air creates a sense of peace and relaxation. Rohtang Pass is one of the most exciting tourist places in Manali.It is a high mountain pass at an elevation of 13054 ft above the sea level located on the eastern Pir Panjal Range of the Himalayas.Rohtang Pass connects Kullu valley with Lahaul and Spiti which in turn provide access to Leh.There are a number of adventure sports that can keep you interested such as skiing skating paragliding snow scooter and more. The name Rohtang means &lsquo;ground of corpses&rsquo; due to the number of people who lost their lives trying to cross this tricky but beautiful mountain range. Rohtang Pass is mostly visited during the months of summer as during the winter the entire area is covered under a thick blanket of snow and ice. Solang is a beautiful valley situated at a distance of about 13km from Manali. It offers a beautiful view of glaciers and snow capped mountains. It is a perfect place for skiing because the valley has fine ski slopes.There is a guest house of the Atal Bihari Vajpayee Institute of Mountaineering and Allied Sports Manali is based here. This institute is the venue for winter skiing festival and also offers training in skiing to the tourists.The area also has a number of trekking and camping options making it a favorite amongst adventurers and thrill seekers. In the morning after breakfast drive to Chandigarh (280 kms / 07 Hrs.) Chandigarh is one of the most planned city in India. On arrival check-in at the hotel. Afternoon visit Rock Garden, Rose Garden and Lake. Evening is free for leisure. Overnight at Chandigarh. Chandigarh has the distinction of having a unique world-acclaimed Rock Garden. It consists of art objects, fashioned from industrial and urban waste. 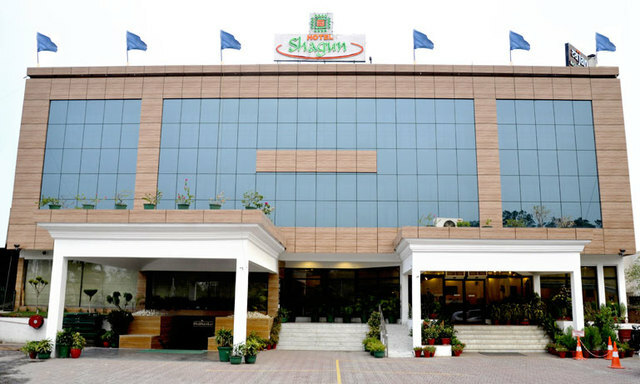 It is situated between the Capitol Complex and Rock Garden of Chandigarh Sukhna Lake in Sector 1. It nestles amidst 20 acres of woods in the form of an open air exhibition hall, theatre trove and a miniature maze all rolled into one vast fantasy land of art and landscape. It is without doubt, a tourist spot that is a must on the itinerary of every visitor to Chandigarh. Rock Garden consists of man-made interlinked waterfalls and many other sculptures that have been made of scrap and other kinds of wastes (bottles, glasses, bangles, tiles, ceramic pots, sinks, electrical waste, etc.) which are placed in the walled paths. The sculptures are mainly made from recycled ceramic. Rose garden of Chandigarh, India is the largest of its kind in Asia. Named after India former President, Zakir Hussain, this beautiful garden was set up in 1967 with the support of Chandigarh first Chief Commissioner, late Dr M S Randhawa. Chandigarh rose garden contains more than 17,000 plants. There are nearly 1,600 varieties of roses over there. It is a spacious garden covering an area of 27 acres. Dr. Zakir rose garden not just consists of the gorgeous roses, but also trees of medicinal value. Some of the medicinal plants that can be spotted here are bel, bahera, harar, camphor and yellow gulmohar. Rose garden serves as the venue for hosting the annual festival of gardens, a major cultural event of the city. Sukhna Lake in Chandigarh, India, is a reservoir at the foothills of the Himalayas. This 3 km² rainfed lake was created in 1958 by damming the Sukhna Choe, a seasonal stream coming down from the Shivalik Hills. Visit to rothang pass by union vehicle.